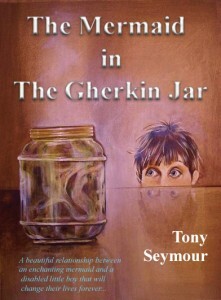 ‘The Mermaid in The Gherkin Jar’ is a new children’s book on Amazon Kindle. It is the contemporary story of an 8-year-old boy called Christopher who has cerebral palsy. The condition prevents him from walking without the use of a metal frame. Christopher has been home-schooled with his twin brother, Oliver, due to his fragility. Finally, his parents decide he is strong enough to attend junior school. However, when Christopher attends Lower Heath Junior School for the first time, he suddenly realises how different he is from the other children. A run-in with the school bully quickly escalates and for the first time in his life, Christopher feels ashamed of his disability. 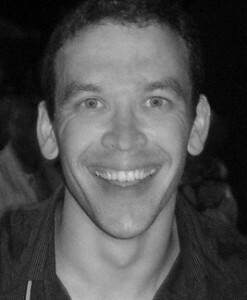 Christopher is the central character in the book. He is an 8-year-old boy with mild cerebral palsy. An out-going little soul, his determination is equalled only by his vivid imagination. The mysterious and enchanting mermaid who Christopher finds one day, trapped in Grandad Scrumpy’s gherkin jar. She is beautiful and strong-willed. Her own disability draws her close to Christopher, but can she be trusted…? Oliver is Christopher’s able-bodied twin brother who is different in almost every way to the main character. Though shy in comparison to Christopher, he is quietly reliable, and watches over his brother from a distance. The kind and a little eccentric grandparents of Christopher and Oliver. Grandma Scrumpy is a keen cook and a lover of crosswords. Grandad Scrumpy is a master model maker, chess player and learned scholar of his idol, Emperor Napoleon Bonaparte. He also adores gherkins! The lovable little rogue and Christopher’s best friend at school. He is a boisterous rascal with a passion for games and conker fights. He also develops a particular fascination for Christopher’s walking frame or ‘rollator’, which he commandeers at every available opportunity. Last, but by no means least, there is Claire, a beautiful little girl who Christopher meets at school. She is a gentle and caring character, who develops a strong bond with Christopher throughout the course of the story. Their friendship is one of the most endearing parts of the tale.